So. It’s spring already. Another drought is here, hosepipes lower their noses in shame as they slither off in humiliation, directed by an index finger towards the garden shed. However, don’t be put off. It is April – month of showers and deluges. We believe that, much like putting the washing out on a sunny day, writing about having a great time splashing around in the sunshine will cause a deluge. Think of this article as a contemporary equivalent of a rain dance. If, like us, you don’t want to waste the very few weekends and sunny days we may have, come ‘summer’, then ignore the ponderous shoe-scuffing of the rainclouds and get planning now. For a nation surrounded by water, we don’t really spend enough time in it. “But it’s collllldddddd” you whine. Well, for starters, nobody’s suggesting you jump in the North Sea off the coast of Northumberland (although plenty of people do). There are plenty of isolated pools, rivers and lakes dotted around. After a couple of days, these bodies of water get warm. Not ‘Sunday-night-hot-as-you-can-take-it’ bathwater style hot, but warm enough to swim; between 15-20 degrees centigrade (swimming pools are often around 28 -30 but hardly ever more than that). Once you’ve got used to the initial chill, you really do feel the heat of the water – it’s just a little hurdle to get over first. Sorry, what now? ‘Dirty’ I hear you say? Rubbish. So long as you’re not jumping in a muddy brown canal with an old Ford Anglia and a shopping trolley poking out above the surface of the water, you’ll be fine. A lot of rivers, waterways and lakes are now very clean. As always, it’s best to rely on local knowledge of bathing spots; no-one wants to joyously bounce off for their first experience of wild-swimming, only to put their foot down for a rest and stand on a bear trap or a mine. That really would widen the boundaries of the meaning of ‘disappointment’. And no, believe it or not, you’re not likely to surface from an adventurous 2 minute underwater ‘otter-thon’ directly into the gaze of an angry farmer with a shotgun up your nostril. 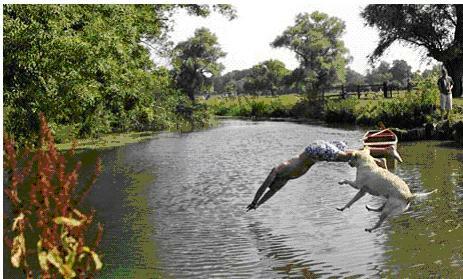 So long as you don’t wander into a fishing river, or into a private estate (even though you can swim at the river at one of the biggest – Chatsworth House in Derbyshire), then you can flipper around fearlessly. 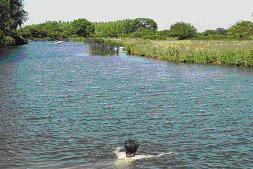 “Wild Swimming”. Even the mention of the words together conjure up images initially imprinted upon us from countless kids’ books from childhood. Drifting along in a deep, slow-moving river, swirling under leafy trees – the whole water sparkling manically from the sunlight punching through the canopy – and sprawling out on a soft, green, grassy bank afterwards. These pools and ponds, lakes and rivers absorb heat directly from the sun over a number of days. The sun also heats the ground and the rocks around the water. 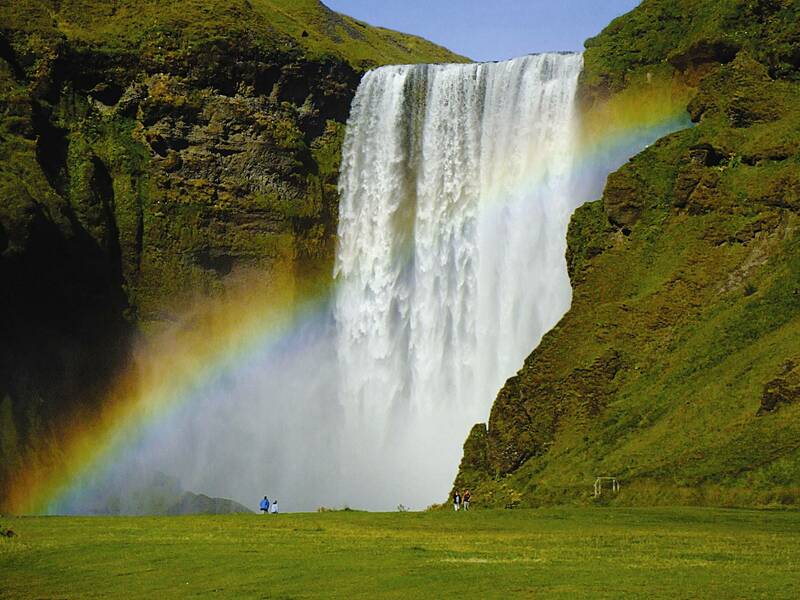 The water then takes heat from its surroundings. And you get to drift around in it. Here’s our guide, containing a hand-picked and polished selection of some of those best spots. 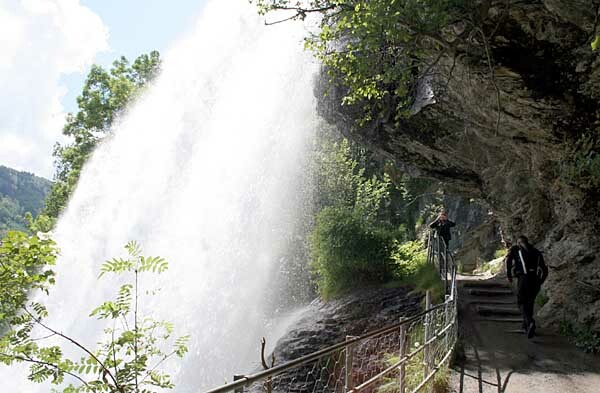 This place is a pretty remarkable plunge pool – a bit awkward to get to – but worth it. Make a day of it. A small stream winds down through a valley, and, just before dropping into a deep pool, the water has to run over large flat stones which make up the stream bed. Here, the stream is only a couple of inches deep, and therefore gets superheated by both sun and stones as it tumbles. It is these stones which give the area its name. It does get busy – especially after a couple of hot days when the locals know it’s hot enough to take a dip. Get there:- The co-ordinates are SK 168 950. During the week the road is open up to Kings Tree (SK 167 937). At weekends, perhaps a little unfairly, that road is shut. You have to park at Fairholmes and get the bus/ cycle or walk. If you’re on the bus, being dropped of at ‘Kings Tree’, you follow the forestry road for half a mile up the valley. Cross the stone bridge and follow the riverbank up for about 200m. You’ll see the stones and the pool. Look under ‘activities’ at the northern end of ‘Howden Reservoir’ at www.travpad.org. Don’t worry – you’re not going to catch anything. This is the River Thames but, at this stage of its life, is not quite the same beasty (or containing quite the same ‘beasties’) as that which flows past the Houses of Parliament. Here, the river is clean and peaceful, way upstream from any nastiness. Here the river winds its way through rushes and past grassy banks. On those banks are little pubs and cafes. Nice. Getting There: From Oxford train station, take the number X3 bus to the Chatham Road stop. Look out for Green Gables. Yes, it IS the sea. After we said you didn’t have to and everything. 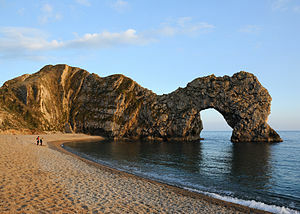 Anyway, the appeal here is the amazing limestone arch which steps out into the sea. The arch is private property – meaning you can’t go onto it – but the ground and beach upon which it rests is accessible to the public. Next door are numerous other coves – including the quite beautiful Lulworth cove. The grottos there can be explored both above and below water (bring some snorkelling gear). Getting There: Take the train to Wool railway station. The station is approximately five miles away from Lulworth Cove. From there, you can either get a taxi (get their number so you can ask that they come and collect you afterwards) or one of the many and frequent local buses. The River Waveney winds along the border of Norfolk and Suffolk through Outney Common. This is a two-mile expanse of green meadow studded with wildflowers, grazing cows and hedgerows; the whole scene looks pretty much like something off the front of a chocolate box. Swans, herons and kingfishers can be seen on the river and, in the summer beautiful damselflies, butterflies and dragonflies. The river is also frequented by canoeists, so keep your eyes peeled, less you receive a bounce on the bonce from one of these silent drifters. A gorgeous, very English, place to swim. Getting There: Beccles is the closest station to Bungay. Local transport can be arranged from the station. 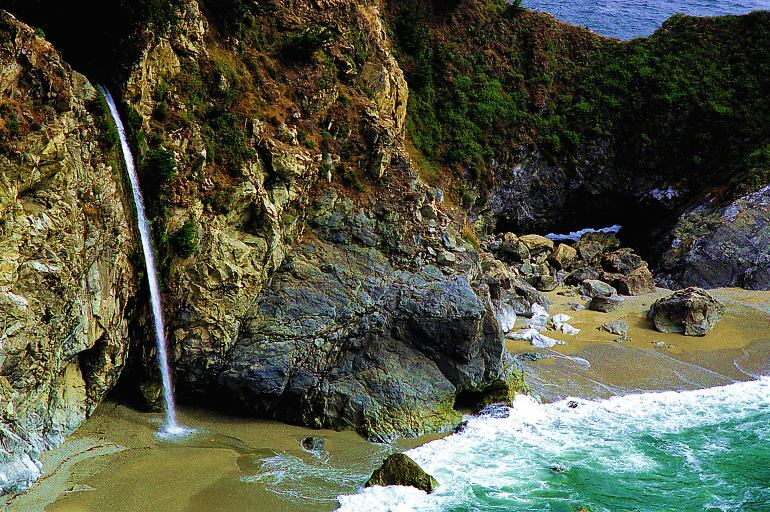 A beautiful tidal pool – in reality a large rock pool – which heats up quickly, with stunning surrounding scenery. The cove, and pool, is only accessible on foot. You have to wait until the tide is out. you’ll find the Blue Lagoon. Only for experienced swimmers as it is 12m (about 40ft) deep. Not really suitable for kids – it really is deep. Swimmers and divers haunt the pool always, You can dive from about 20ft from various ledges in the quarry wall. It’s not quite as warm as the one in Iceland though. The water is fresh and clean and can be cold. As ever, ACCLIMATIZE FIRST! Take some snorkelling gear; as the pool is clear, you can make yourself dizzy with vertigo (strangely) by looking downwards watching the cliff disappearing beneath you. The copper sulphate content of the water is likely to give it it’s colour. As long as you wash at some point afterwards, this is not harmful. Getting There: From Llangollen take the A542 towards the Horseshoe Pass. Park at the Ponderosa Café. Walk directly opposite up into Golwern Quarry in the second of the large Holes. Crystal blue, small lake, much loved by locals. 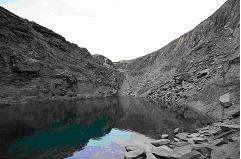 The lake lies in the ‘hanging valley’ (nothing to do with ropes or death, don’t worry) of Cwm Idwal. It may be small, but is big enough to lose the crowds here. Getting There: Really best visited by car. From the town of Capel Curig, head North Westerly on the A5 until you see the lake ‘Llyn Ogwen’ (King Arthur’s sword Excalibur is said to be hidden in this lake). 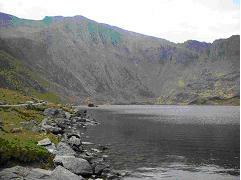 Keep driving with the lake on your right until you get to the car park at Ogwen Cottage (at the end of Llyn Ogwen). Follow the signs, on foot, from there. Catching the drift? Want to know more? Get out there and enjoy your summer. TravPad will be posting more snippets of things to do for summer next week.